M2 Lasers introduce the FOILStar 300, ideal as a labelling alternative in situations where direct laser marking is not possible, but wear-resistant lettering is essential. The use of laser marked foils is invaluable against counterfeiting and in situations where environmental factors are a concern. FOILStar 300 enables accurate laser marking of foils that is permanent and wear-resistant with a resolution of 725 dpi, and can provide individual design of custom label sizes using the integrated cutting blade. Laser foils of up to 300mm in diameter are accepted by the FOILStar 300. 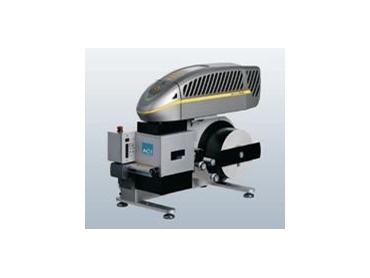 The laser marking software manages the transport of the foil and the entire marking process. The software can easily be used to design labels and permits variable and fixed texts and codes or labels.